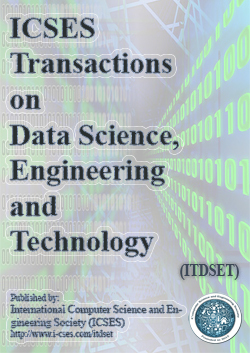 ICSES Transactions on Data Science, Engineering and Technology (ITDSET) is a peer-reviewed open-access publication of its kind that aims at reporting the most recent research and developments in the areas of Data, Information, and Knowledge science, engineering and technology. It publishes advanced, innovative and interdisciplinary research involving the theoretical, experimental and practical aspects of these interrelated paradigms. 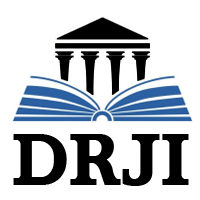 ITDSET is committed to timely publication of very high-quality, peer-reviewed, original articles that advance the state-of-the art of all aspects of earch and developments in the areas of Data, Information, and Knowledge science, engineering and technology. Survey papers reviewing the state-of-the-art of timely topics will also be welcomed as well as novel and interesting applications. Currently, ICSES has developed the following key-enabling services to facilitate and speed up the publication process. Selecting these services during the submission obviates the burden of engaging with ICSES Manuscript Template and ensure your submission will be processed as fast as possible. Using this service, every peer-review round of your submission will be decreased from regular 60 days to the fast one with only 14 days. Using this service, firstly, you do not need to care about ICSES Manuscript Template, and can submit your draft paper in any format. Secondly, we finally format and typeset your manuscript, if you can get a final acceptance. Thirdly, your manuscript can go on-line instantly after geting acceptance decision. Part I: The first page of the submission should be a Cover Letter containing the manuscript Title, Abstract, Keywords, Main Subject, Corresponding and other Authors with their Affiliations, a statement demonstrating that the submitted manuscript is not submitted “Elsewhere at the same time,” and all the Authors agree to this submission. For convenience, you can use the following ICSES-CoverLetter-Template.docx. Part II: At least 3 up to 5 Highlights and Novelties should be presented in the Second Page using ICSES-Highlights-Template.docx. These specifications for Figures, Tables, and Equations are mandatory for any submission so that any violation of them will result in an “Immediate Rejection” in the review process. At least 40% extra material specially in the Experiments and Results. A paragraph in the Introduction Section should explain the differences as well as How, Where and Why these differences have been applied to this new Manuscript. The previously published paper in the Conference should exist in the References Section, and be Cited in the aforementioned paragraph. All the submitted articles should report original, previously unpublished research results, experimental or theoretical, and will be peer-reviewed. Articles submitted to the journal should meet these criteria and must not be under consideration for publication elsewhere. Publishing papers in the ICSES Transactions is currently free of charge, and we have adopted the SCOPUS and ISI-WoS policy, and go toward indexing in these Academic Databases. Hence, only the high-quality papers have chance to be accepted; however, our strategy is to mature submitted papers fallen within our standards with some rounds of Revising. Today, the first editorial decision and total publishing process last about 3 and 9 months, respectively. However, the accepted papers will be published on-line as soon as with the final decision. Original Full-Length Papers: All the original full-length papers should be 10 pages in two-column style; however, significant submissions ranging from 8 to 14 pages are considered but with a charge for every Extra Page. Review Articles: The Review articles should be 14 pages in two-column style; however, significant submissions ranging from 10 to 18 pages are welcome but with a charge for every Extra Page. Short Letters: The Short Letters should be 5 pages in two-column style; however, significant submissions ranging from 4 to 7 pages are welcome but with a charge for every Extra Page. Conference Papers: The Conference Papers should be 6 pages in two-column style; however, significant submissions ranging from 5 to 8 pages are welcome but with a charge for every Extra Page. Others: Other kinds of letters and papers have no restriction in pages, and it is up to the journal's Editor-in-Chief. The accepted manuscripts must follow the style of the journal in order to be published. The mandatory journal-template is in the following. Moreover, a copyright form signed by all the authors are needed before the manuscript goes published. 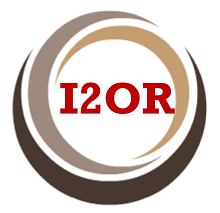 Currently, ORCID is mandatory for all the Authors of the accepted Manuscripts. We are using Plag©Scan against plagiarism. The maximum acceptable similarity with other published papers is below 15%; however, we strongly suggest that the similarity should be below 10%. All the corresponding authors of accepted papers should check their accepted versions using Plag©Scan, and send us the report in order to publish their papers. The Article Processing Charge (APC) for this journal is as follows; however, some Special Issues and Book Projects may have arbitrary APC based on the leading guest-Editor. 0$ Article Processing Charge Mandatory to be paid only for the accepted papers to be published. You can follow the ICSES Payment's Instructions to find how much the fees are and how you can pay for them in order to proceed the publication process of your submitted manuscript. 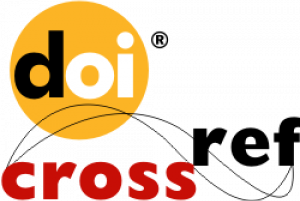 Prospect Scholars can use ICSES-Special-Issue-Template.docx to propose us conducting a new Special Issue. In addition, you can find the Instruction how to submit your Proposal here. Prospect Scholars can use ICSES-Book-Proposal-Template.docx to propose us conducting a new Book project. In addition, you can find the Instruction how to submit your Proposal here. Prospect Authors can submit their Manuscripts to the following Upcoming Issues via www.i-cses.com/IMMS. In addition, you can find the Instructions how to submit your Manuscripts here. 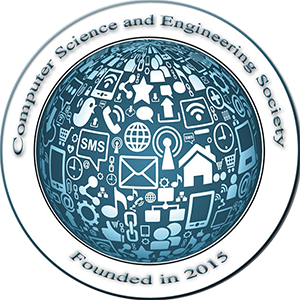 International Computer Science and Engineering Society (ICSES) and its Journals have adopted the policy of the Committee on Publication Ethics (COPE). On this basis, we are adhered and follows the COPE Code of Conduct and Best Practice Guidelines for Journal Editors and the Code of Conduct for Journal Publishers. A selection of key points is included in the following; however, you should refer to the aforementioned documents for full details. 1- The manuscript is original, and has not been partially or completely published elsewhere. 2- The manuscript is not under the evaluation elsewhere, since simultaneous submission is prohibited. 3- The consent of all the Authors has already been gained before the submission. 4- The consent of all the Sponsors has already been gained before the submission. 5- The manuscript has not any plagiarism. 6- All the necessary copyrights for the contents have already been acquired by the Authors. 7- All the results in the manuscript are exact and correct, and have not generated or manipulated. 8- Authors should ensure that they have properly acknowledged the work of others, and should also cite publications that have been influential in determining the nature of the reported work. 1- Authors should not select anyone with conflict-of-interest as his/her Potential Reviewer, Editor, etc. 2- Editors and Reviewers should not accept editoring and reviewing of manuscripts that have any conflict-of-interest with one of the Authors or their Affiliations. Editor-in-Chief, Editors, and Reviewers evaluate submitted manuscripts exclusively on the basis of their academic merit (importance, originality, study’s validity, clarity) and its relevance to the journal’s aimss and cope, without regard to the authors’ race, gender, sexual orientation, ethnic origin, citizenship, religious belief, political philosophy, institutional affiliation, policies of governments or any other agencies outside of the journal itself. Editors and editorial staff will not disclose any information about a submitted manuscript to anyone other than the corresponding author, reviewers, potential reviewers, other editorial advisers, and the publisher, as appropriate. In cases of alleged or proven scientific misconduct, fraudulent publication or plagiarism, the publisher, in close collaboration with the editors, will take all appropriate measures to clarify the situation and to amend the article in question. This includes the prompt publication of an erratum, clarification or, in the most severe case, the retraction of the affected work. 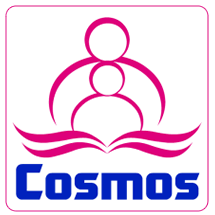 The publisher, together with the editors, shall take reasonable steps to identify and prevent the publication of papers where research misconduct has occurred, and under no circumstances encourage such misconduct or knowingly allow such misconduct to take place.